In the vacuum caused by the death of Superman, the world is more vulnerable than ever before. Violence, terrorism and acts of war are all on the increase and, in this planet without hope, things are getting worse. Inspired by Superman’s selflessness, Bruce Wayne decides to create a team of heroes who, together, will fight to save mankind. There is something undeniably exciting about the sight of a group of beloved and iconic heroes standing ready to embark upon an epic adventure. 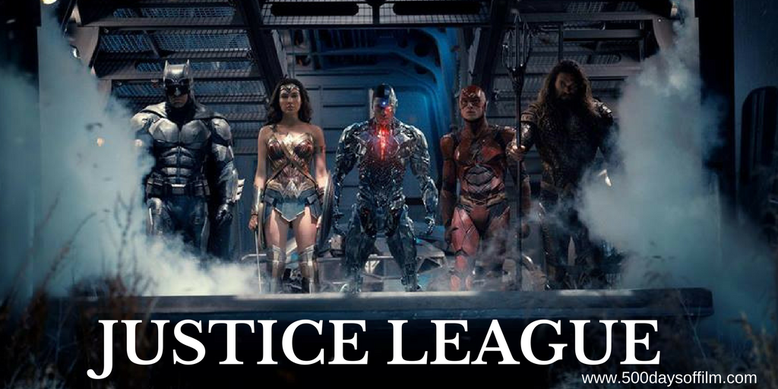 Several times in Zach Snyder’s Justice League we see Batman (Ben Affleck), Wonder Woman (Gal Gadot), The Flash (Ezra Miller) and Cyborg (Ray Fisher) posing together, ready to do battle - ready to save the world. If Patty Jenkins’s brilliant Wonder Woman adaptation told us anything (and I believe that it told us a lot), it told us that, despite past failures, there is tremendous storytelling potential in the DC Universe. In Jenkins’s extremely capable hands, Wonder Woman was re-energised - she became a powerful, inspiring and important role model for men and women, young and old. Of course, Wonder Woman isn’t a perfect film but it does stand for something, it is entertaining and it does have heart. Sadly, despite the potential that lies within this franchise, Justice League disappoints. This is a mess of a film peddling a tired story that fails to serve any of its characters. Gal Gadot’s Wonder Woman is by far the best thing about Justice League. However, even she struggles to leave any lasting impression. The same can be said of Ezra Miller’s The Flash (there for comic relief), Jason Momoa’s Aquaman (there for the obligatory one liners) and Ray Fisher’s Cyborg (there for purposes of exposition). It is great to see these characters on screen and no fault lies with the majority of the cast but, ultimately, our super heroes lack any real interest or depth. Once again, the potential is there for a decent Justice League film but that potential is utterly wasted. Of all the members of the gang, Batman is the most disappointing. There is no life in Ben Affleck’s performance - he looks deeply uncomfortable throughout, like a man who desperately wishes he had never accepted this role. 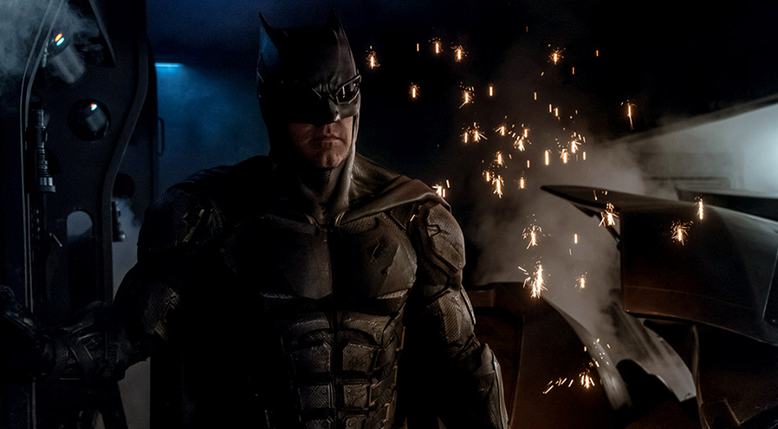 Batman creates the Justice League in order to save the world - this time from the big bad Steppenwolf (voiced by Ciarán Hinds). A more underwhelming villain I have yet to meet. While I appreciate that Justice League is far from alone in its struggle to create an effective threat, Steppenwolf still feels like a significant step backwards - both in design and purpose. As a result, there are no stakes here - nothing to make us feel even slightly concerned for our heroes. At one point, Wonder Woman questions whether they will “survive the night” and I couldn’t keep my eyes from rolling. In fact, the only danger the Justice League actually faces is a result of its own infuriating incompetence. So, okay, the story is poor, the heroes are stupid and the villain is ridiculous… what about the action? Well, there are many, many fight scenes and some of them are entertaining - particularly those involving Wonder Woman. However, Justice League is here let down by some frankly (given its budget) embarrassing CGI. Meanwhile, the fights become a real assault on the senses - and not in a good way. At the end of the movie, I couldn’t wait to leave. I didn’t even want to stay for the final (of the two) post credit scenes. Wonder Woman showed that there is real potential in the DCU. Someone needs to get a handle on this franchise stat and create something worthy of these iconic characters that we all love.